December means holiday season, one of the biggest shopping months of the year for many. A great time to be an Amazon associate recommending physical products. According to Statista holiday retail sales in the US was estimated to a whopping $680.4 billion US dollars. That’s about 30% of the annual retail sales. Did you earn some commission on a piece of that this year? If not, it’s never too late to get started. We are entering a new year, new beginnings. 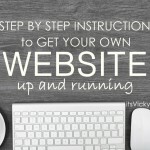 If you have been thinking of setting up your own site, I help you get started here. 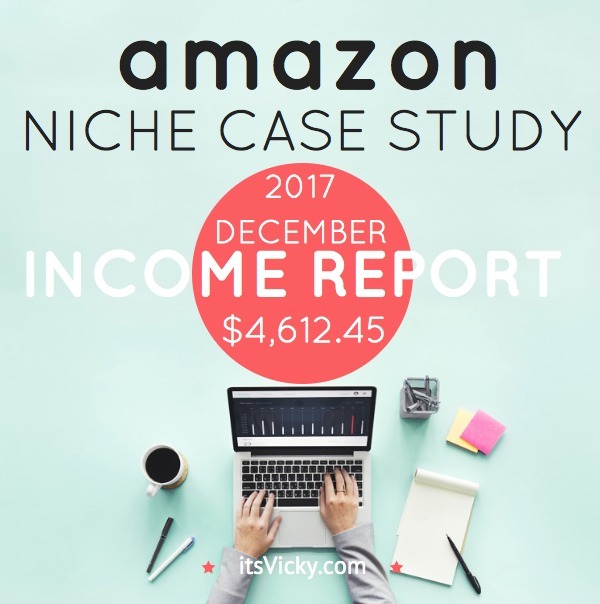 This case study site is not geared toward the holiday season, it’s in the health niche but it sure benefits from the shopping season. The site is also geared towards a few winter months related sub-niches, which has turned out to be great for the colder months of the year. My point is, even if your site is not directly marketing the holiday shopping it can still highly benefit from it. 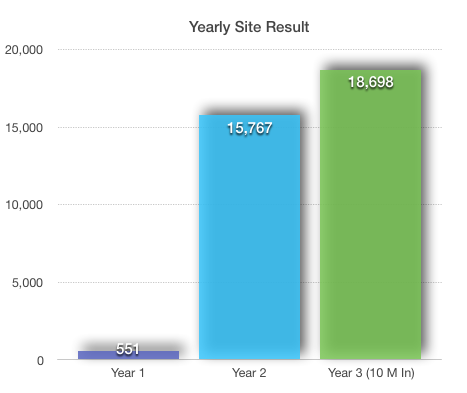 Why Do I Share the Number and Stats of This Case Study Site? This site started out because I was curious if it was possible to make money with the Amazon associate program. 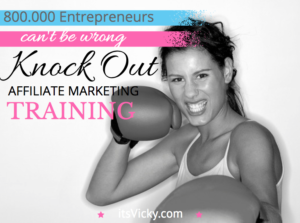 I have heard both sides, some of my marketing friends where making great money, some affiliates were really struggling. The best way to find out if it worked for me was to set up a site and try it out… and this case study site was born. The site is now 2 years and 10 months, still a pretty young site. It’s been a very interesting journey with ups and downs. The feedback and appreciation I have gotten from you, my readers have been amazing. That is my main reason for doing this, I enjoy sharing the stats and numbers with you, showing you the reality of a website. 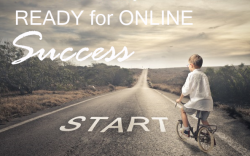 Show the real stats, that there will be ups and downs in traffic and income, that there will be hurdles to overcome… Maybe most importantly that if you do put in some time and effort into building a site, there will be great rewards and it is possible to make money from it. Another reason to share the stats of this site is that it keeps me accountable. It’s a great way for me to every month tally up the stats of the site to make sure it’s heading in the right direction. I’ve been doing affiliate marketing for some time now and it has been truly amazing to be able to work from home while raising my kids. With no computer related background, I learned the basics and have grown from there. Thinking that I started out making $4 as my first commission, lol I know nothing to write home about, BUT it confirmed that affiliate marketing worked, to doing this full-time today… it’s been quite a journey and a great solution for our family. 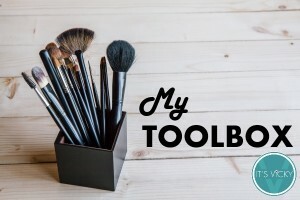 Interested to find out how I got started? Read my story here. I wanted the site to be monetized with Amazon products. I wanted the site to be in a “forever” niche, nothing that would disappear in a year or so, I chose health. I wanted the site to hands-off for me. This means that I outsource most content. This has proven to be a pretty good concept. Let’s dive into the stats and numbers for December 2017. I’m excited to see some good traffic numbers for this site. The colder months plus the holiday season is the main reason for the increase. People are simply searching for solutions that this site is ranking for in Google offering what people are looking for. 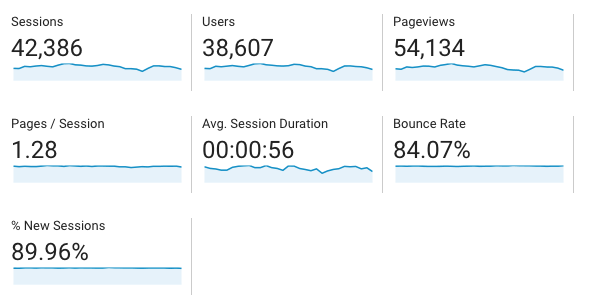 This is the best traffic numbers yet for this site. 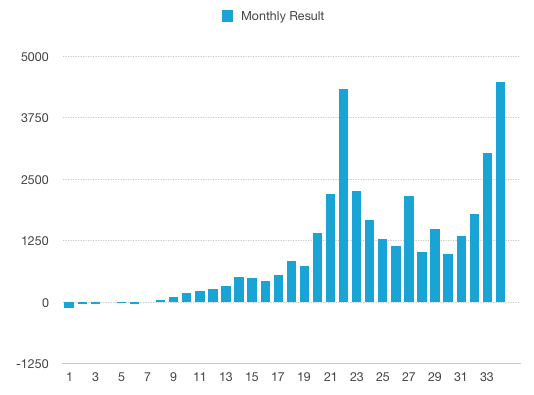 An average of 1245 users per day, that’s some great growth from last year’s December number of 656 daily users. This shows that good content, submitted on a consistent basis that rank well in Google and other search engines, will drive traffic to your site. 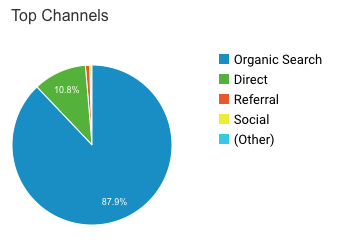 87.9% of the traffic to this site comes from organic searches. Since the site is based on content ranking in Google, Bing, Yahoo and other search engines, the content piece of this site is very important. So, what kind of content rank well? I would say well researched, informative content written with the reader in mind is good content. For it to rank, it also needs to be slightly keyword optimized. Personally, I use Jaaxy for my keyword research and looking at the traffic growth, it’s providing me with great keywords to rank for. Like I mentioned earlier I outsource most my content. This is nothing you have to do, you can write all the content yourself. For me, it just frees up a lot of time to do other things. The key is to know what content your site needs. You need to give clear instructions of what you want in your content piece. I get a lot of questions about outsourcing. Where do I find my writers? How do I get good writers for the price I pay? Be very specific about what you need in your description when you are looking for writers. Before you hire somebody on an ongoing basis, have them write a test article for you. Give very clear instructions of what you need in the article, even down to the sub-titles until your writer knows what you expect. If you don’t like the style of writing, don’t hire the person. Find a niche expert and be prepared that it will take some digging before you find the perfect writer. When you do find the perfect writer for your site, hold on to them. Hirer them on an ongoing basis and give them weekly assignments. Ask them how they can improve the site, what topics they enjoy writing about. When I submit the content, I also look to see if I can monetize it. Some post I do monetize some I don’t. 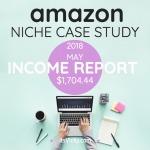 One tool that’s been extremely helpful for me, when it comes to adding Amazon links and monetizing with Amazon is EasyAzon. This nifty little plugin saves me time by finding and submitting links, images, price boxes and more, right from my WordPress post or page. It also allows me to earn commission from not only the US market but from the UK and Canadian market as well. If you want to save time submitting Amazon links and images, take a look at EasyAzon. Now our slightly keyword optimized content is submitted to our site, to get it to rank in the search engines, I usually tweet or pin the post when it’s live. Most of the times this is enough for it to rank. That’s the beauty of submitting content on a regular basis you kind of “train” the search engines to expect your content. To check my ranking results, I use SemRush for the big picture of the site. It gives me a good overview, it is easy to see if rankings are improving or not, a great site to keep an eye on the site growth over time. For specific keyword rankings, I use Jaaxy, yes the same tool as I use for my keyword research. It will help me track rankings for a specific keyword. Jaaxy will show me the current Google, Yahoo and Bing ranking, but also the history of it. You can set the scanning frequency, so if you want a weekly scan for a specific keyword you can get that. Great tool to keep track of your specific keyword rankings. Exciting traffic numbers but are the income numbers following the same trend? 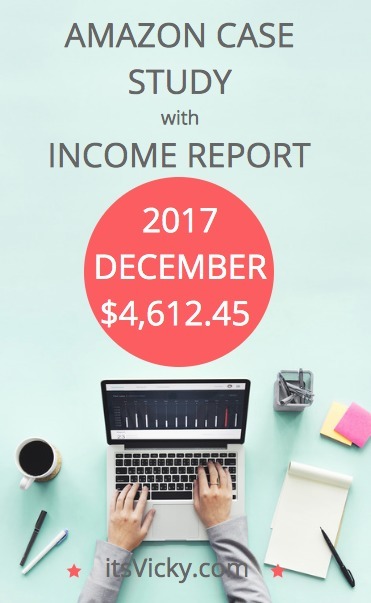 The independent affiliate program was doing really well in early December. I saw a lot of less expensive items bought compared to previous months, thinking this is probably Christmas gifts. The number of sales was higher though than previous months so that made up for it. I did run into a hurdle, when the merchant site decided to do a site update in the middle of December, shutting down the site for a day. It felt like the site were really on a roll before the update but things slowed down dramatically after that… We still ended up with 28 sales for the month. When you get some volume you really see the big difference in the commission… sad, BUT glad I joined the independent program to make up for it. To be able to compare this project with other projects I like a number that’s comparable no matter how you monetize your site. US dollars per thousand visitors can give us that number. Although we are far from last December’s number I still see an increase. This is the hosting I suggest if you are new to blogging and websites. We barely beat last year’s number, BUT looking at the circumstances I’m happy that we at least did. 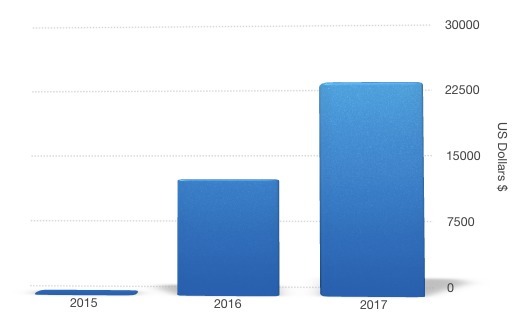 Not the growth in earnings that I was hoping for, but we are increasing revenue for the site so that’s great, can’t do much about the commission changes that are out of our hands. This is the best month so far for the site. I was expecting great growth for the site 2017, although we didn’t peek the way I wanted to $22.640.40 is not bad for the site, since it’s still pretty young. The site has an enormous potential and I can’t wait to see what 2018 will bring. 2018 is already here, new year, new beginnings and I’m super excited to see where we can take this site. I will be continuing doing what I’m doing as far as submitting content on a regular basis. I might even bump it up a bit. I’m looking for more writers, but still digging for the good ones to add to the team. I also have some other income streams that I will be testing on the site this year. This is a completely new way of monetizing for the site and I’m excited to see if it’s a good fit. If it is, the sky is the limit and it could be a great income earner… If it’s not, well then at least I ventured out and tried it… I will be sharing more about this in the coming case study updates. If you enjoy this case study, consider following my new side project, my 5-hour website case study. It’s a case study based on putting 5 hours a week into a site to see what we can come up with, will the site be profitable in 2018? Time should no longer be an excuse if we can pull this project off. 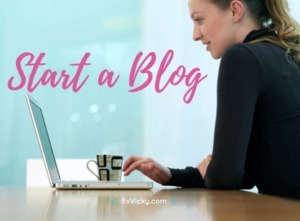 I will walk you through all the steps I take to get the site going, niche research, keyword research, visitor profile, website setup, plugins, themes and more… should be fun!! I would love to hear how your site did in 2017 and what your goals and expectations for 2018 are! Feel free to share below! Congratulations on a great month and year! I’m about to start up my own Amazon affiliate site and was wondering if you use backlinks to help your site rank higher? I’d prefer to stick to just great content and not bother with trying to do guest posting, etc. What’s your opinion on this? Best wishes for a healthy and successful 2018! Great question. I let the backlinks come naturally. I don’t “build” links. I’ve done a couple of guest posts, probably two or three :). Nothing that had any great impact on the site. I think guest posting is an interesting idea IF the content is relevant. I’m open to guest post exchanges, just not something I spend a lot of time on. Best of luck with your new site! Make sure you update us on the progress! It’s great to hear your site is doing really good! my question today is how do you manage to get that traffic to your site? Do you share the content on Social Media? The traffic has slowly grown over time. Over 90% is organic traffic from the search engines. That means that the keywords are ranking and bringing in traffic from Google, Bing, and Yahoo. It has taken some time but now we are starting to see some decent traffic numbers. I do share on Twitter and Pinterest, but social media is definitely an area to improve in for the site. Congrats on this December earning. The earning wouldn’t have been up to this amount if not because of the second affiliate program. I think the independent affiliate earning would surpass that of Amazon in the future as the traffic climbs. You have done a fantastic work so far because a case study can’t be more transparent than the one you have here. I’m sad as I did not stumble on this case study earlier, but its never too late to start again. 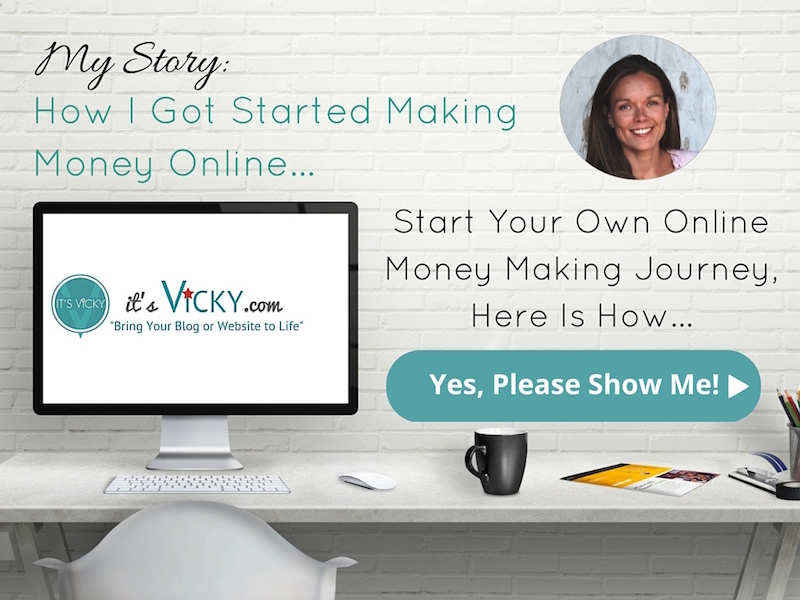 Vicky, the site in this case study must have had over 400 contents by now, isn’t it??? The site has around 500 posts and pages, the power of consistency in submission. 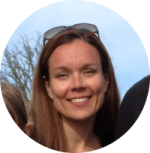 Hi Vicky – It is truly amazing that you get almost 90% of your traffic from organic searches! What a bar to aim for to get my site there! You are rocking it and I appreciate all you do to help others!